Centenary Baton Watch … Wiltshire! | Crowlas & Ludgvan W.I. Centenary Baton Watch … Wiltshire! 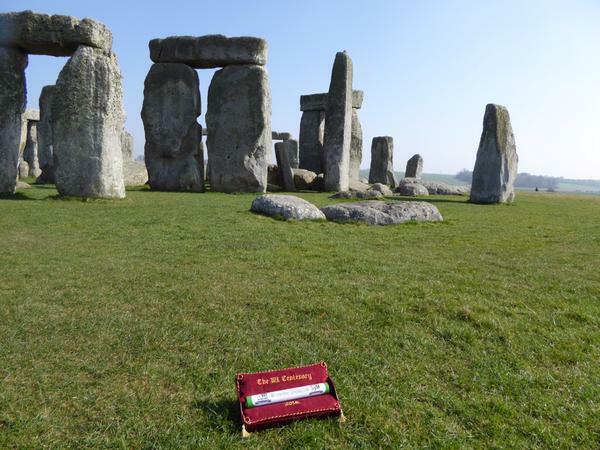 You don’t need three guesses to work out where our Wiltshire friends headed when looking for an iconic spot to pose the Centenary Baton! We can’t think of a more perfect spot. 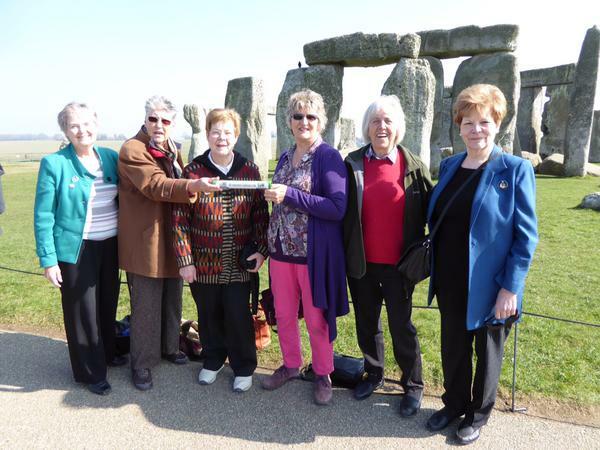 The baton also visited Salisbury Plain with Wiltshire Federation Chairman Isobel Acott and other WI members. 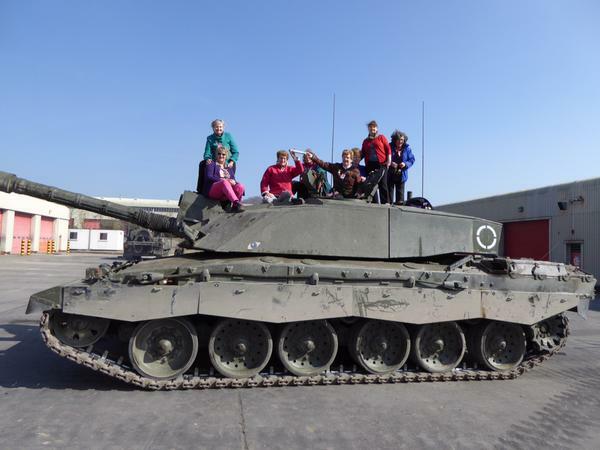 There, they bravely sat atop a Challenger tank! This entry was posted in Uncategorized and tagged baton, centenary, Wiltshire. Bookmark the permalink.